Can you believe today is the last day of September? Gosh, where all this time is going?! It’s hard to believe that soon we’ll be waiting for the first snow and exchanging gifts on Christmas. 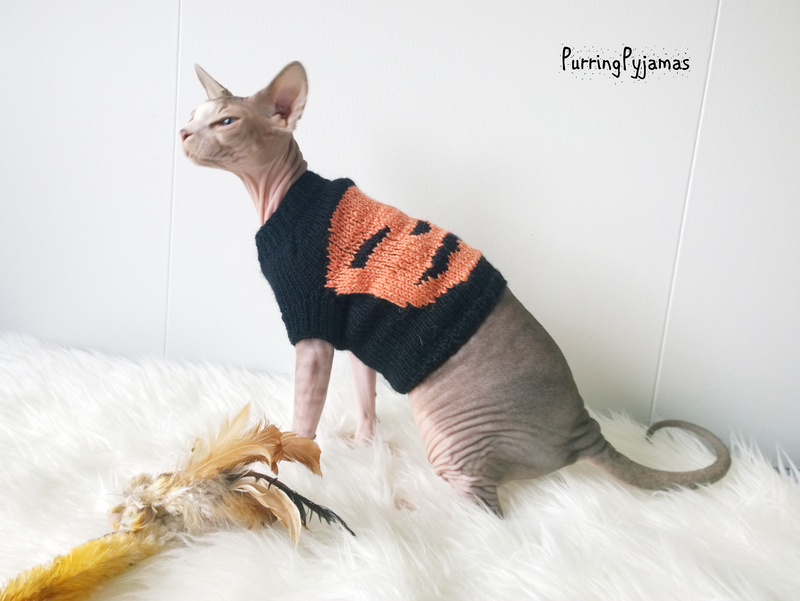 I am not sure how much I am feeling all the autumn spirit, but cats are definitely there! Even though they still love spending their time in the balcony, more and more often they choose to rather stay inside under the blanket. 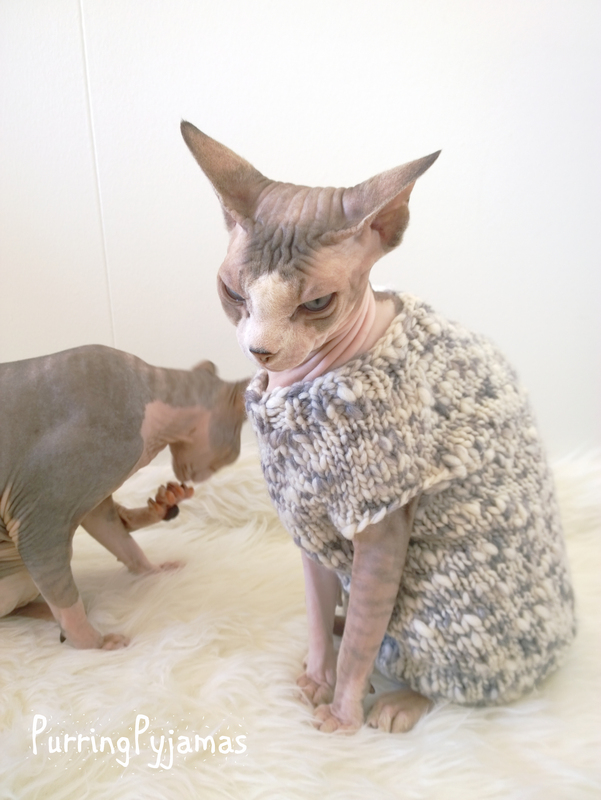 And so this autumnal sweater was inspired by them. 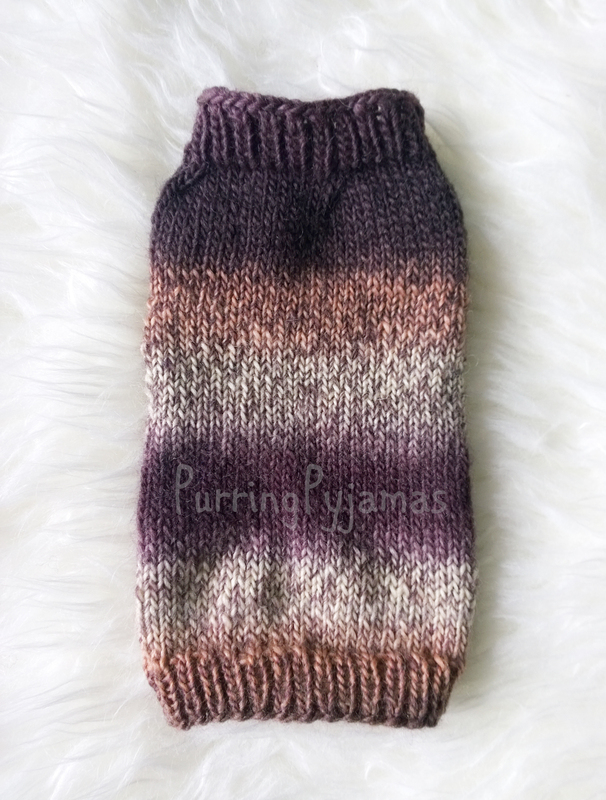 I’ve had this yarn for quite short time, because I wanted to do something with it. A lot. I think it reflects autumn so well – it is soft, warm and those brown & burgundy colors are simply gorgeous. 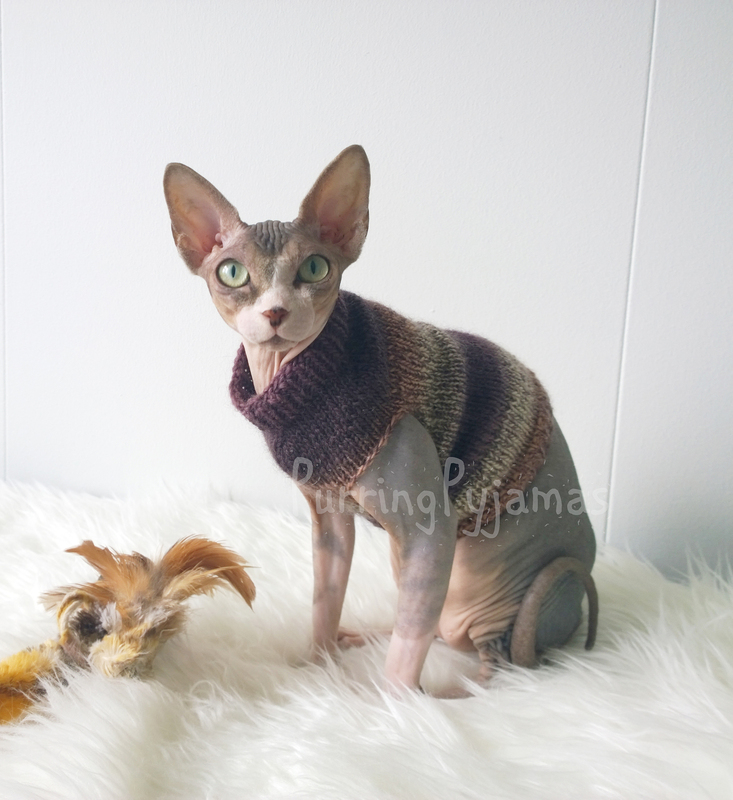 Only one sweater is available in size XXS, because I could find only small amount of this yarn to buy. 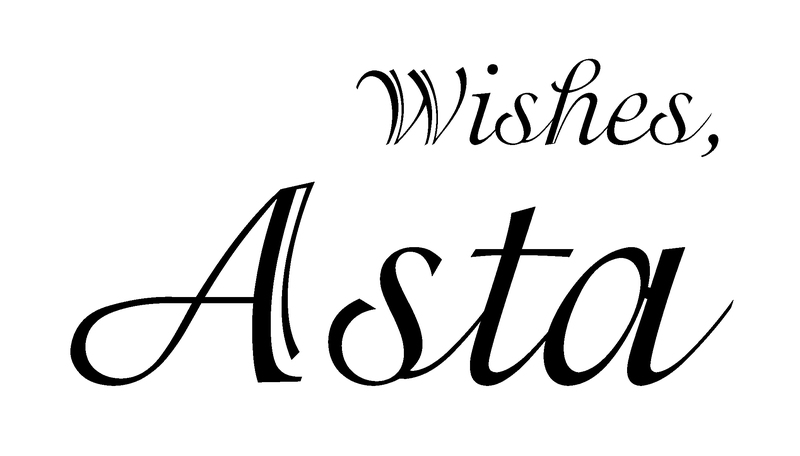 It can be made with sleeves too, so all depends on your wishes only. Yarn is 100% wool, so believe me – when I say it’s warm, it really is. And here are some more pictures from shoot! Enjoy! Hey, where’s my paste? I want mooooreee! 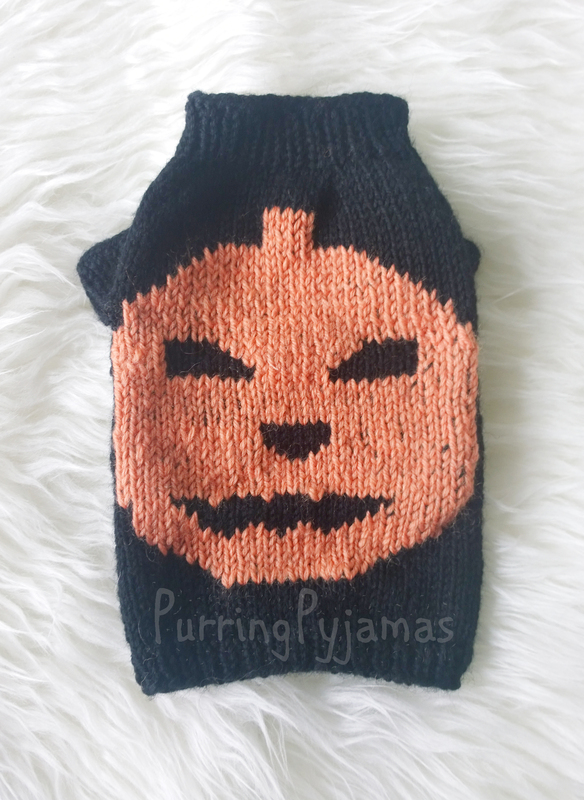 PurringPyjamas Halloween Collection 2015: Eat, Drink And Be Scary! the moon laughs and whispers, ‘tis near Halloween. 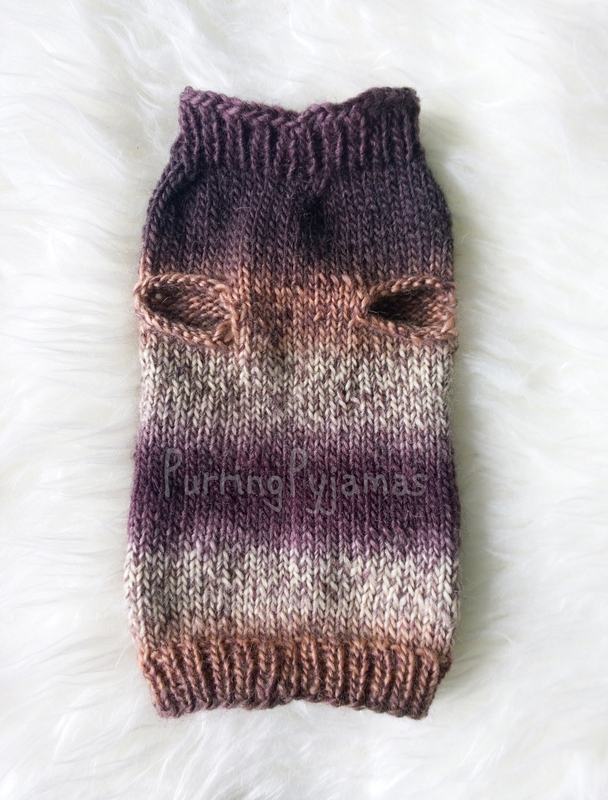 Even though it’s only September (or, actually, ALREADY September), I started planning Halloween collection for PurringPyjamas back in the summer. And even though lately I’ve been crazy busy, I managed to finish and put up all the sweaters for sale like couple of weeks ago. 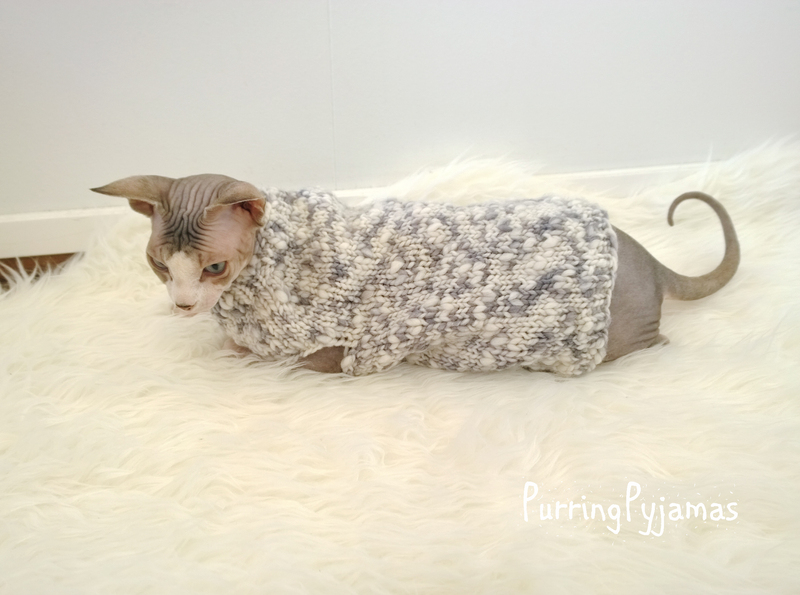 And, well, PurringPyjamas blog apparently got a little forgotten… But not anymore! I started doing some more time planning, so I’m hoping to be posting over here at least once a week. Yay, more cute and soft cats coming! Because internet can never have too many cat pictures and videos. Ever. Anyway, so here it is – Halloween collection that I finally finished! Let’s get into it. So the very first sweater is one of the Halloween essentials – I mean, come on, who doesn’t have skulls on Halloween? We have human skulls (fake ones, hopefully, but you can have whatever makes you happy) at home, but I decided to pimp the cats with cat skulls. Because why would the cat be interested in us, humans? 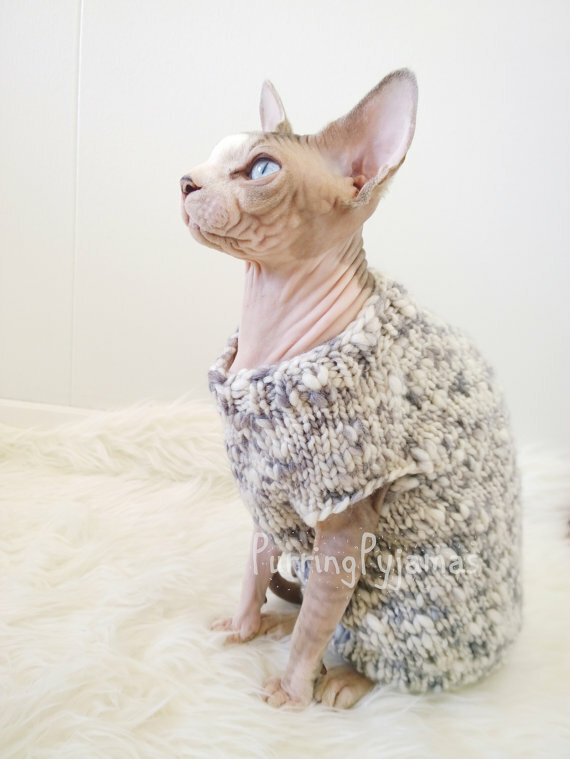 😀 Let the cat have this super cool and super warm cat skull sweater. 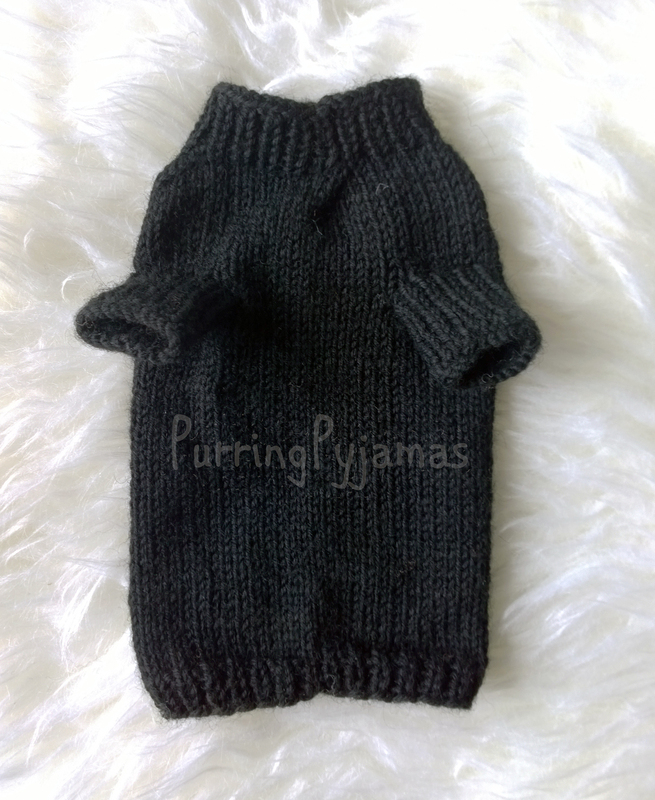 This awesome sweater is warm and stretchy, because yarn is 75% wool and 25% polyamide. 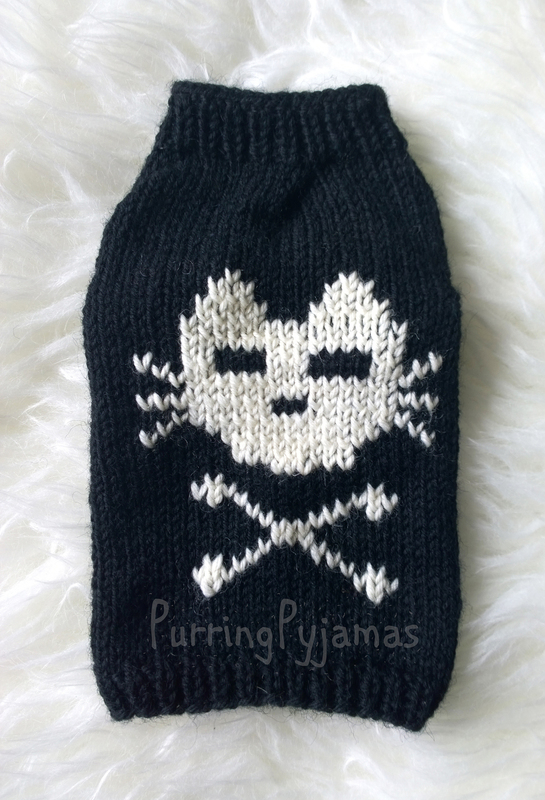 It is available for purrrchasing right over here: Cat Skull Sweater. When I was thinking about Halloween collection, I always had in my mind this picture of a cat sitting on the moon. So yeah, I guess you got the cat and all you need now is…the moon! And this sweater gives you exactly that. 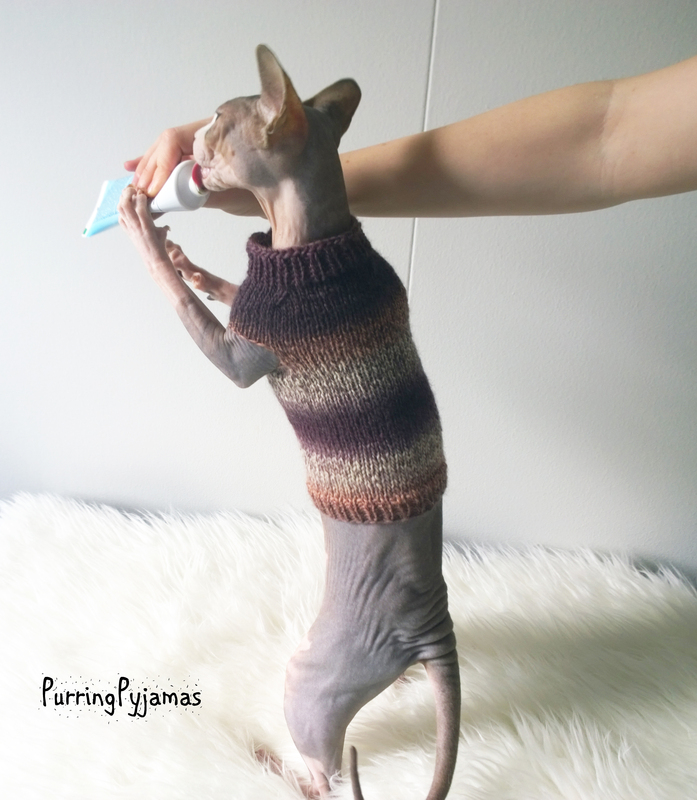 It also gives to your cat warm pleasures and is very soft. Yarn is 75% wool and 25% polyamide. Fly your cat to the moon right over here: Fly To The Moon. 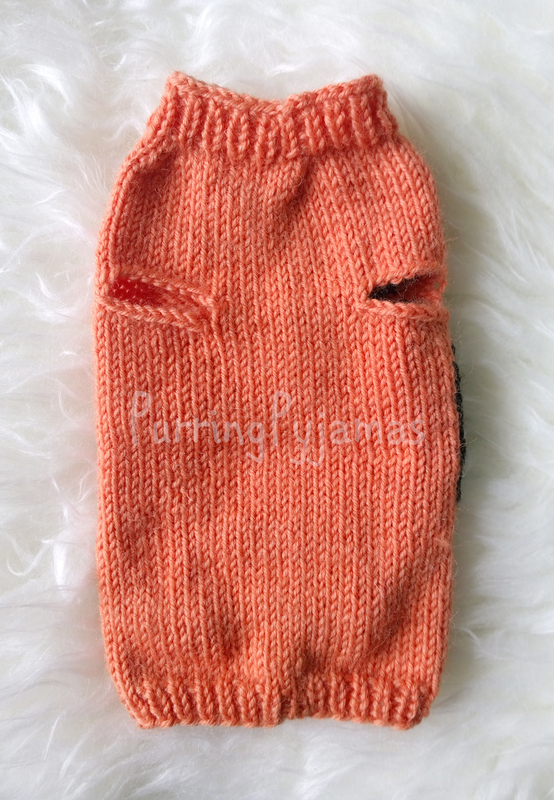 Now this one is definitely another one (and probably the main) of Halloween essentials – pumpkin! Believe it or not, I have never ever carved a pumpkin in my life, because over here in Europe (at least in Lithuania and Finland) people don’t really celebrate Halloween. 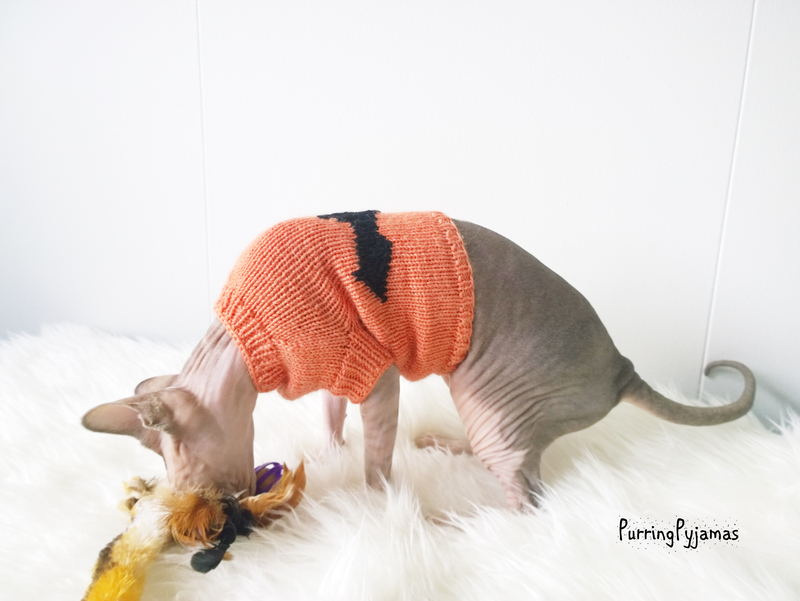 So at least I can keep up the Halloween spirit through this cool pumpkin sweater! Again, yarn is 75% wool and 25% polyamide. 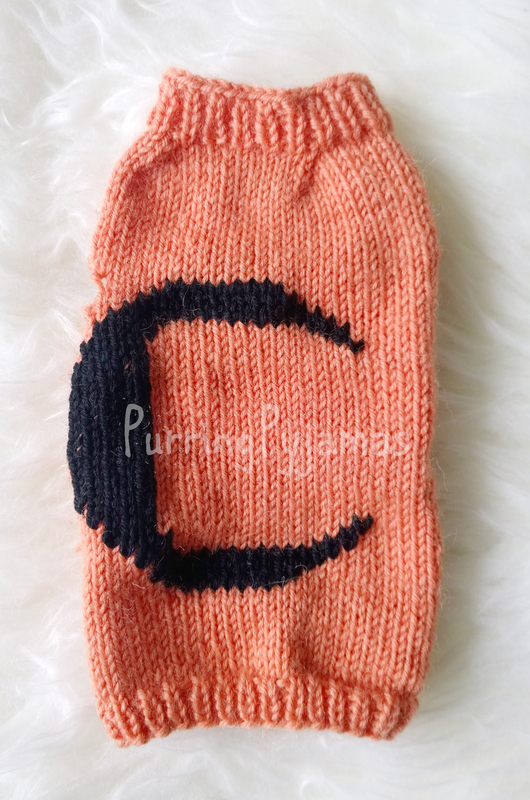 Carve the pumpkin together with your cat over here: Pumpkin. 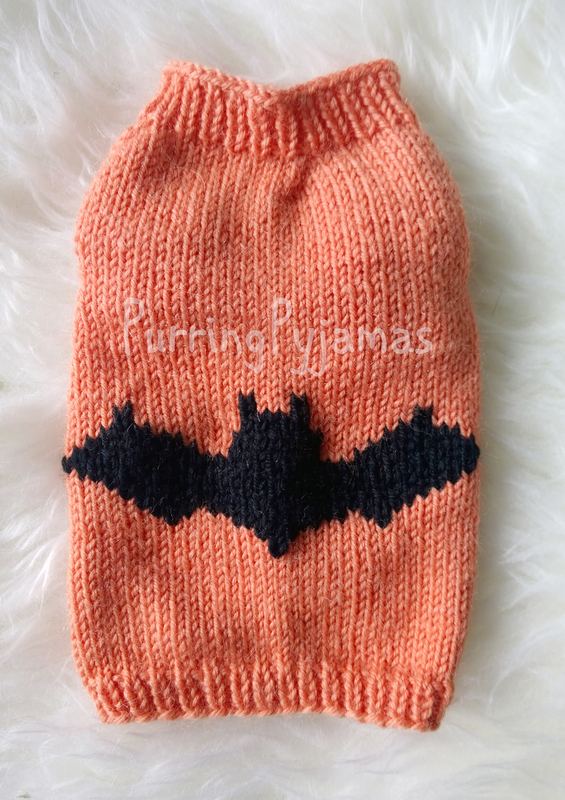 And the last, but definitely not the least is this orange sweater with a bat. Yep, I’ve never seen a bat either, but I think they’re insanely cute! 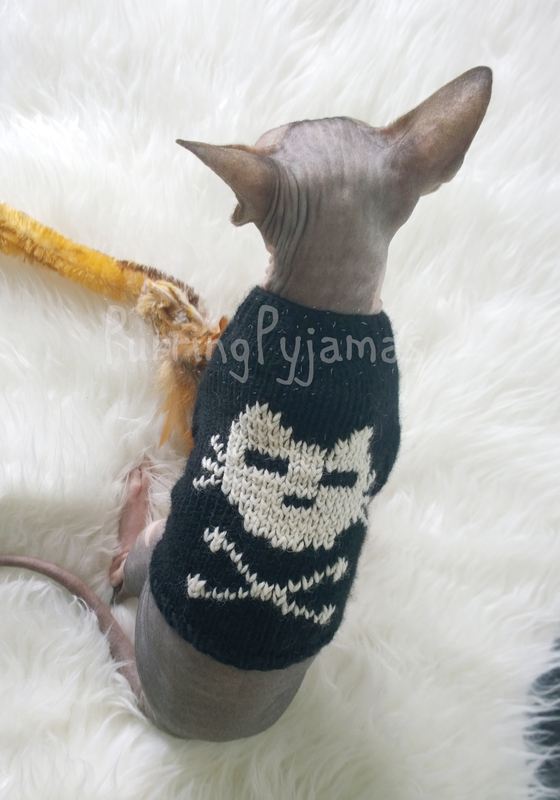 So that’s the story behind this sweater: I like bats, they’re cute, they’re also associated with Halloween, so why not let your cat to rock a sweater with bats? 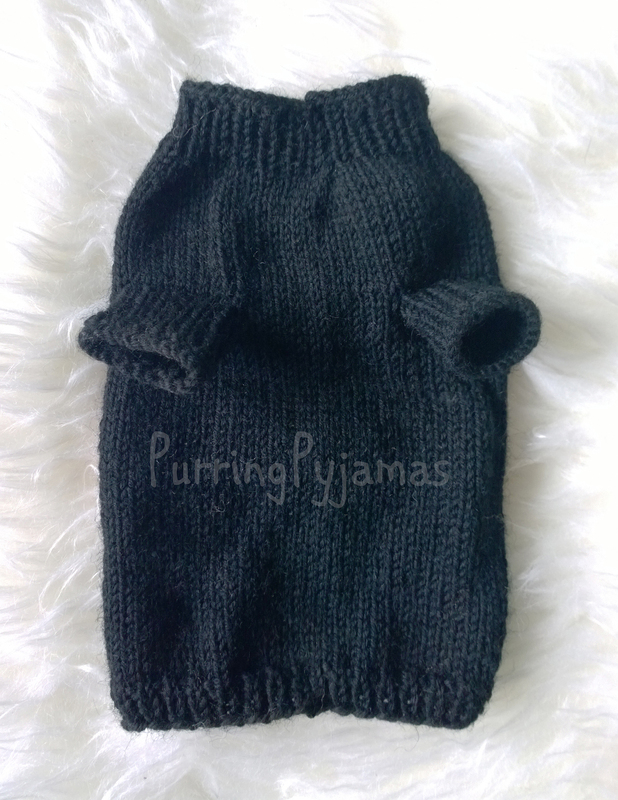 And yes, once again the yarn is 75% wool and 25% polyamide, which means this sweater is soft, stretchy and oh so warm. You can purchase it right over here: Bats. And what about you? Do you celebrate Halloween? Whether you like Halloween or not (or simply don’t care about it), have a beautiful day and enjoy this colorful autumn! 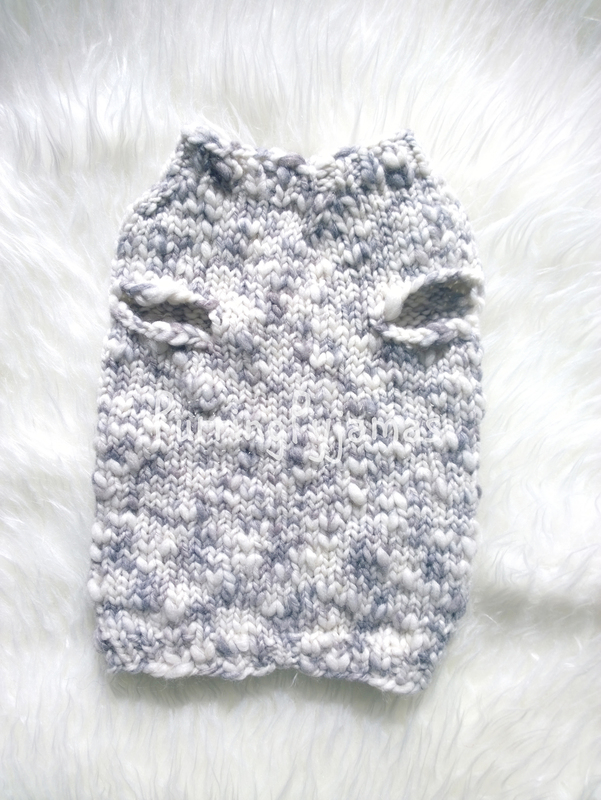 I am finally catching up with all my works, so I decided it’s about time I post the sweater I made few weeks ago. I found small amount of this gorgeous yarn at one shop, and I just couldn’t leave it. As much as I love bright colors, all the grays and browns are very close to my heart too. My hands were itching for a while to make something out of it, and so I did. 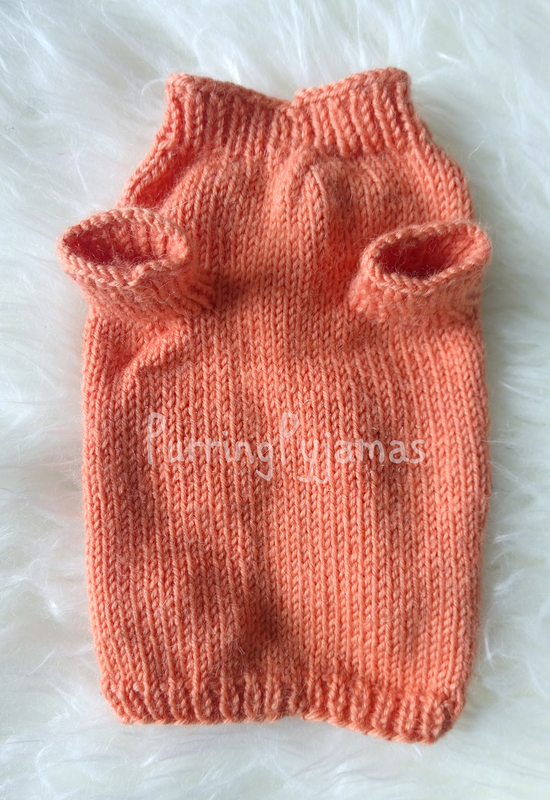 The sweater is very simple, because the yarn itself is like a decoration. Yep, this is one of those cases, where less is more. After I finished it, I wasn’t sure what it reminds me of. And it actually took few weeks to realize, that it looks like a dirty snow. I mean, really – that’s how snow looks like when it starts melting. Well, at least over here in Finland. Yarn consists of 50% wool, which gives loads of warmth and 50% acrylic, which is responsible for cashmere softness. 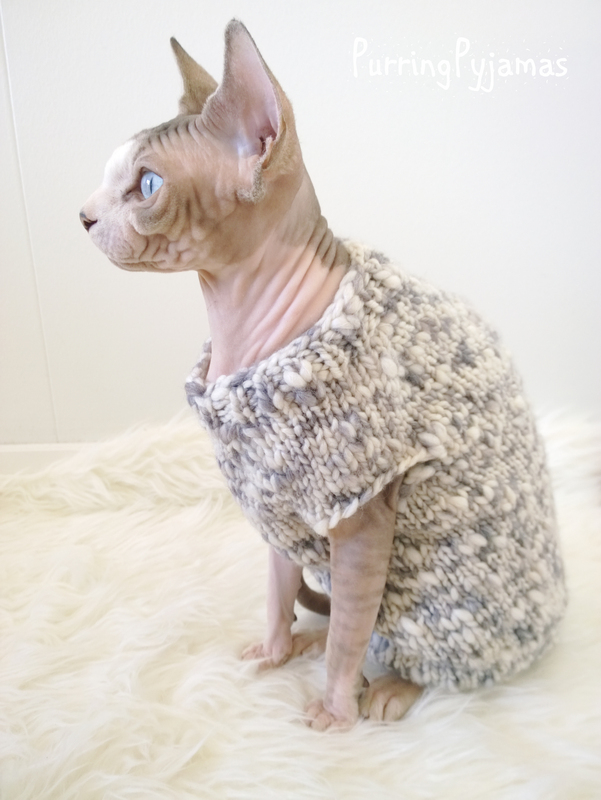 There’s only one sweater available in size M, so if you have a bigger kitty, it might be just perfect for you! 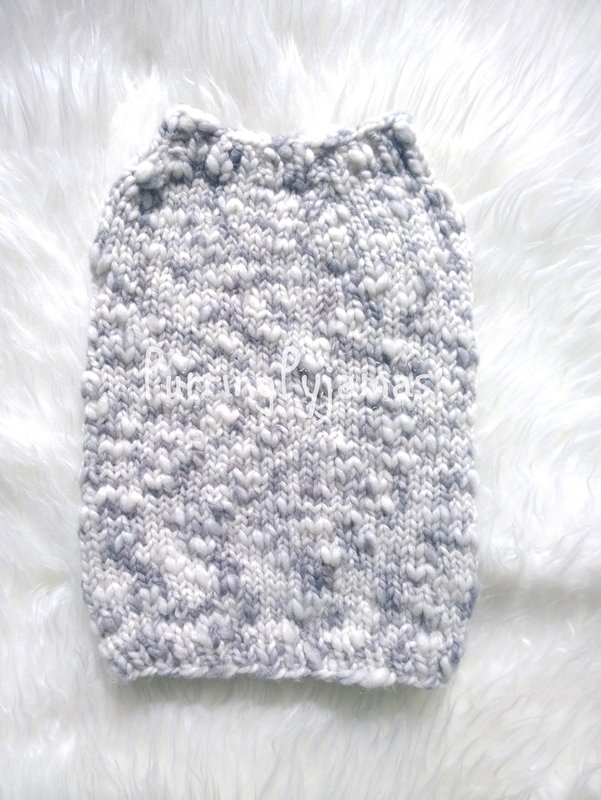 You can find the sweater over here: Sweater “Dirty Snow”. And here are some behind the scenes shots. Enjoy! Because all the magic stuff happens on the other side of the window! Yep, that’s my hand under the carpet she’s looking at! She was looking through the window all the time, so some playtime is the only way to get her attention. Bacha crashed the photoshoot (once again! ), and Beliza is definitely NOT impressed by it!